The Children’s Center was established by Aldersgate United Methodist Church, a non-profit organization, to provide an opportunity for children of the church and the community to be involved in a developmental environment of Christian nurture, which affirms we are children of God. Our Christian Education Program teaches universal Christian concepts through a “hands-on” experience without compromising individual beliefs or family customs. We have programs for infants, toddlers, pre-school, and school age children. The Children’s Center is open to any child aged 6 weeks through 11 years regardless of race, religion or ancestry. Our program is licensed by the State of California’s Department of Social Services. We serve children 6 weeks through 11 years of age. Our center is open Monday-Friday, year-round (excluding holidays). Our hours of operation are 7:00am to 6:00pm. 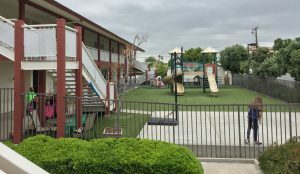 Our teaching staff is comprised of fully qualified teachers licensed in accordance with Title 22 California State Licensing requirements and trained in Early Childhood Education. Each staff member is CPR and First Aid certified. Our staff to student ratios are smaller than required by the state, offering your child closer, more personal attention. Our Infant/Toddler Program is open to children ages 6 weeks to 24 months. The enrollment for the infant room is 6 infants and for the toddler room is 8 toddlers. The staff/child ratio is 1:3 in the Infant room and 1:4 in the Toddler room. Our Primary Caregiving system ensures that every child has a “special” caregiver and that each parent has a primary contact. The child’s primary caregiver becomes an expert on your child, an advocate, and a coordinator of your child and parent experience. Our developmental curriculum allows children to learn and explore God’s world in a “hands on” environment and at their own pace. 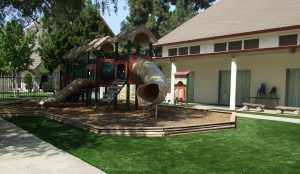 Our clean, well equipped classrooms and playgrounds provide plenty of opportunities for each child to play, explore, and create. Extracurricular activities include; Music and Movement Program, Chapel with staff and Pastors, and Spirit Time with the Pastors. We provide a morning and afternoon snack. Parents are responsible for sending a nutritious lunch with their child each day. We will provide a beverage to be served with lunch. 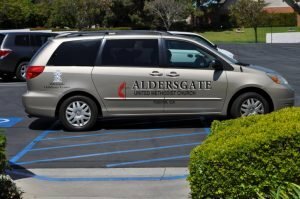 Aldersgate is a developmental program. However, we take an academic approach to teaching while weaving in our developmental style. We provide a school readiness environment that encourages the children’s ability to cope, learn and achieve without undue stress. Our Pre-Kindergarten program offers children the best academic and emotional preparation for Kindergarten. Classroom centers include Dramatic Play, Easel Painting, Drawing and Writing Table, Manipulatives, Hands on Science, Musical Instruments, Art and Sensory Table and Emergent Curriculum which allows the children to brainstorm, as a group, what interests them. 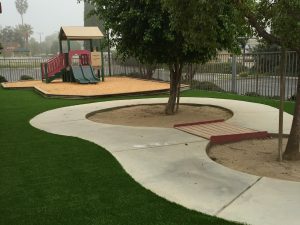 Our goal for each child is to be involved in daily activities which allow him or her to gain experience in social, emotional and cognitive skills. Also, provide a safe, warm, accepting environment in a Christian setting. Our School Age Program is different than most after school programs. We are a faith based program emphasizing that each of us is an important child of God. Our staff to student ratio is always 1:14 and usually lower. Our staff is well trained, well qualified, and educated in child development. We provide a morning and afternoon snack when children attend the Center for a full day. Parents are responsible for sending a nutritious lunch with their child. We will provide a beverage to be served with lunch. A safe, fun-filled, Christian Centered summer camp program. Camp Aldersgate is a full day summer camp program offering your family quality childcare for the entire summer break! We follow the Tustin Unified School District Calendar so actual dates may vary each summer. We are open Monday-Friday from 7:00am-6:00pm. We’re about God and we focus on making choices that will honor Him.